Undoubtedly, you’ve heard a thousand spiels about what positive effects healthy eating can have on your body. Instead of starting with looking good to feel good, start with feeling good because you already look fabulous. #FeelGoodFriday is all about being satisfied with what you put in your body because feeling good starts with what you consume. However, being healthy shouldn’t mean having to sacrifice your tastebuds or your wallet. This week, dive headfirst into this fluffy, fontina-filled frittata for some healthy relief on your insides and on your wallet. 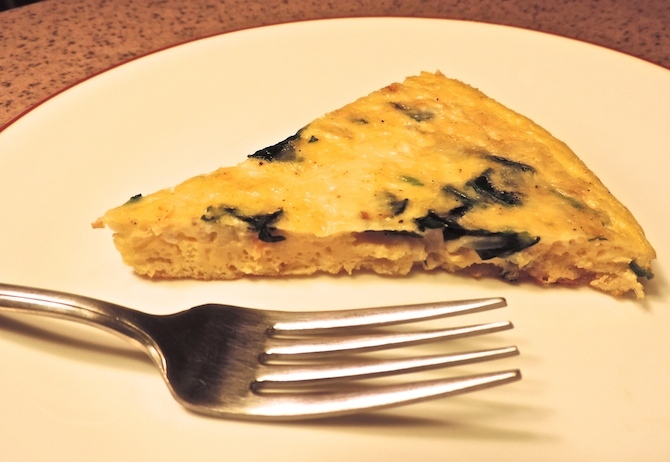 *Substitute with just egg whites to make this dish even healthier. Make sure to add extra egg whites to make up for the volume you lose by not using the yolk. 2. 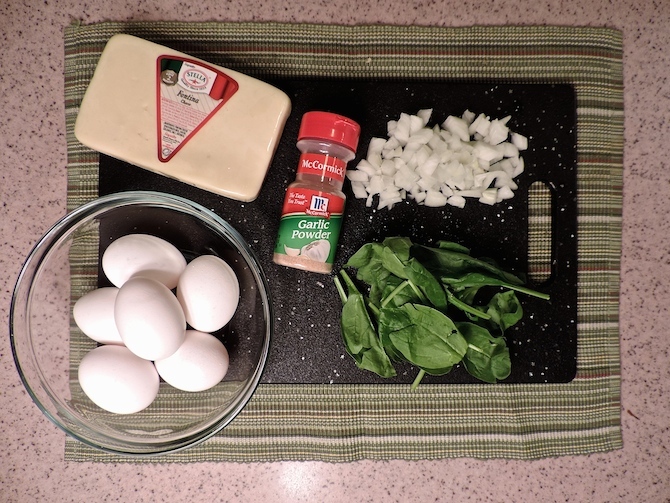 In medium size bowl, blend together eggs, fontina, salt, pepper and garlic salt. 3. Heat a 12-inch non-stick, oven safe sauté pan over medium-high heat. 4. Melt butter in pan add onions to pan sauté for 2 to 3 minutes. 5. 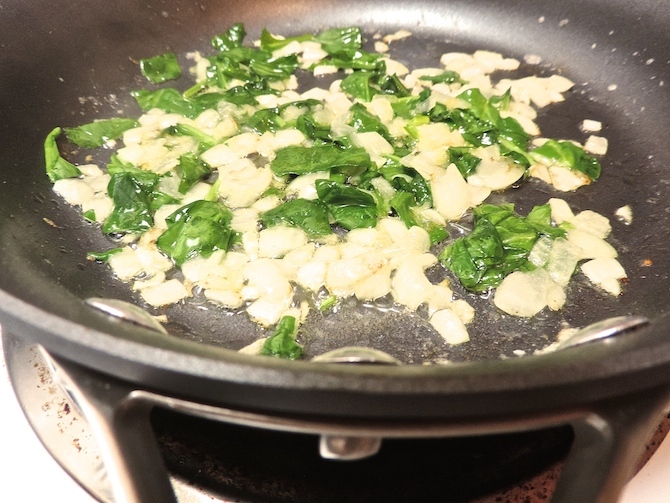 Add spinach to pan and allow to wilt slightly, 1 to 2 minutes. 6. Pour egg mixture into pan and stir with rubber spatula. 7. Cook for 4 to 5 minutes until the egg mixture sets on the bottom and begins to set up on top. 8. Place pan in oven on the top rack and broil for 3 to 4 minutes until lightly browned and fluffy. 9. 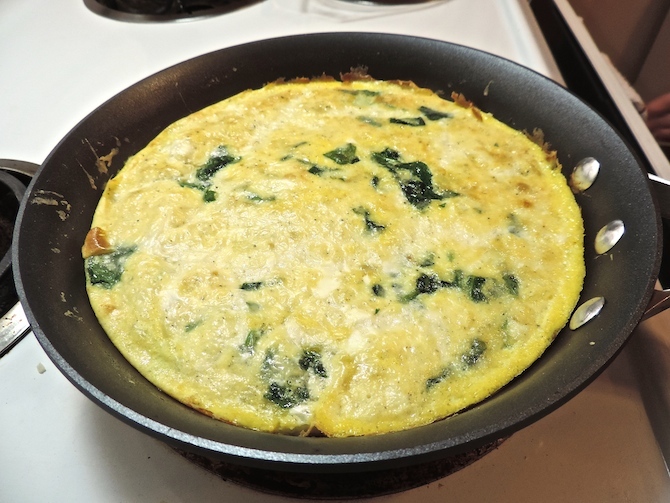 Remove finished frittata from pan and cut into 6 servings.